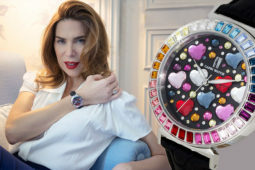 Rossella Blue, one of the most iconic creations of the new Rossella Collection. Details are what make this watch special. 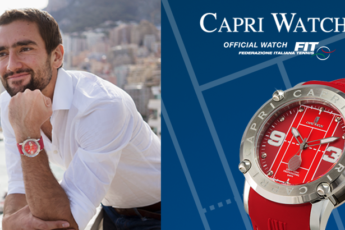 A watch that represents the evolution of Capri Watch’s style toward an innovative combination of readability and design. 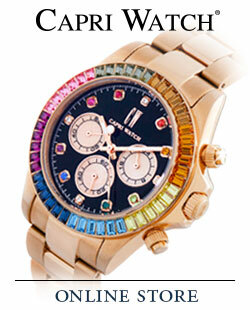 This object is characterised by an elegant play between the bezel’s solidity and the dial’s agility. 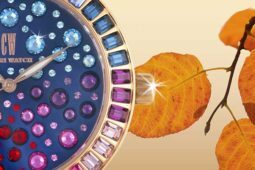 In fact, while the former is entirely covered with fine Swarovski crystals, the latter is filled with a blue mother of pearl dial, whose tone changes depending on light. 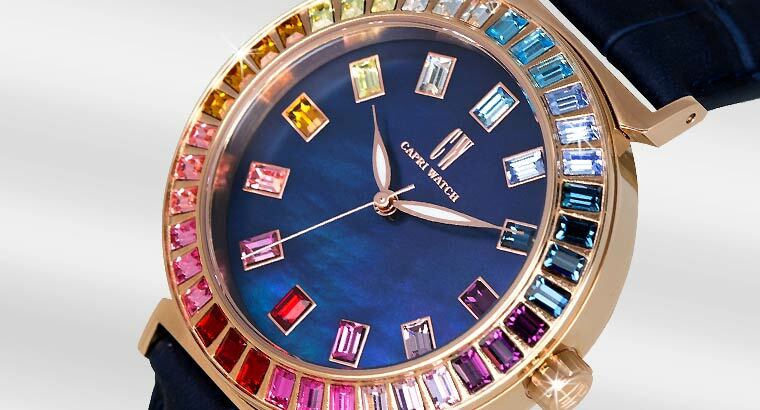 Ornament pairs with function, as rectangle-shaped Swarovski crystals indicate the dial’s numbers. 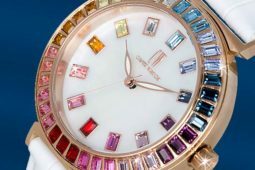 All this is supported by an elegant gold-colored case, which stands out against the blue leather band. The Rossella Blue (ref. 5467) aims to express the various nuances of feminine beauty and personality, blending delicacy and determination, along with all the different shades spanning between these two terms.